They are not superheroes, but they help to shape lives and save lives too! Find out how Dolly, one of the Best Employee Award Winners carved a fulfilling career at Thye Hua Kwan Moral Charities that spanned over 11 years. 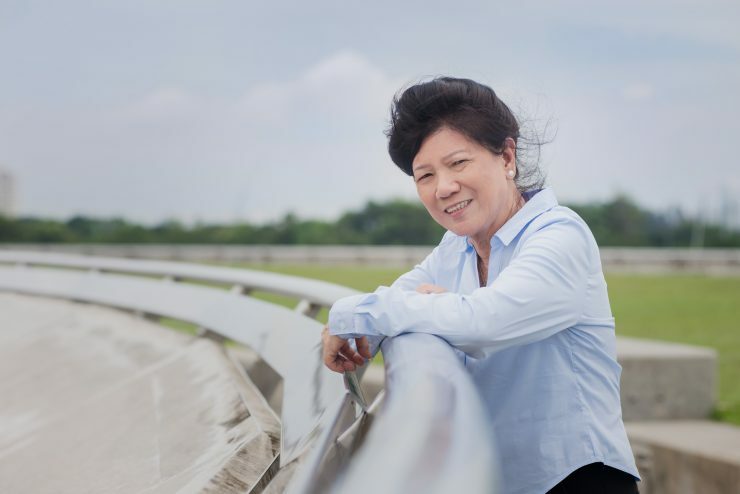 Unlike many of her peers, Tug Guan Huay, fondly known as Dolly is far from retirement. Well into her golden years, Dolly is keeping well, staying active and exuding contentment from within. She was crowned the Best Employee of the Year at THKMC Staff Appreciation Nite 2018. The 71 year-old Programme Assistant at Indus Moral CARE is a familiar face that the residents look forward to greeting every day. After all, she has spent 11 years serving the hundreds of seniors there. Majority of these seniors live alone and have no one to turn to for help. Her job requires someone with a big heart for the elderly and it is definitely not for the fainthearted because not only does she help to save lives from the pull of death, she also needs to deal with life after death. She recalled vividly about one incident that happened years ago but remained etched in her mind. When one of the elderly, Mr Mai did not turn up as usual for lunch at the centre, she sensed that something was amiss. She rushed to the rental flat and found that the door was left unlocked. She called his name, but there was no response. So, she pushed open the door and found Mr Mai lying unconscious on the floor. She quickly called for an ambulance which sent Mr Mai to the hospital. When he awoke, he thanked Dolly immensely for saving him from the brush of death. Not long after, Mr Mai passed on a few days later at the hospital at the age of 79. Dolly learnt to accept tragedy as part of the job, having witnessed the passing of several elderly during her time at the centre. One elderly man, who was suspected of depression jumped to his death. When Dolly was asked to identify the body at the foot of the block, she couldn’t believe it was one of the residents whom she had met earlier on the very same day in the morning. “He looked perfectly fine, and we chatted as usual.” Dolly recalled. That incident shook her but she was determined to help the elderly to live with dignity. Death is a taboo subject for many elderly that many people find difficult to talk about, but Dolly has her way to convince them otherwise. She converses with them about their plans for old age, their priorities for end-of-life care and even preferences for funeral arrangements so that their needs can be met when the time comes. For many of the elderly, Dolly is like a family and she reciprocates in the same way. Unlike the usual traditions, Dolly does not have reunion dinners with her two sons on the eve of Chinese New Year. Instead, she chooses to spend it the beneficiaries at the centre as well as her colleagues, by organising a reunion dinner together with them, just so that these elderly may also immerse in the joy of the festivities. It is the bond that binds and the people that keeps her going. She gives her best to serve them, so that they can be happy and healthy, together.